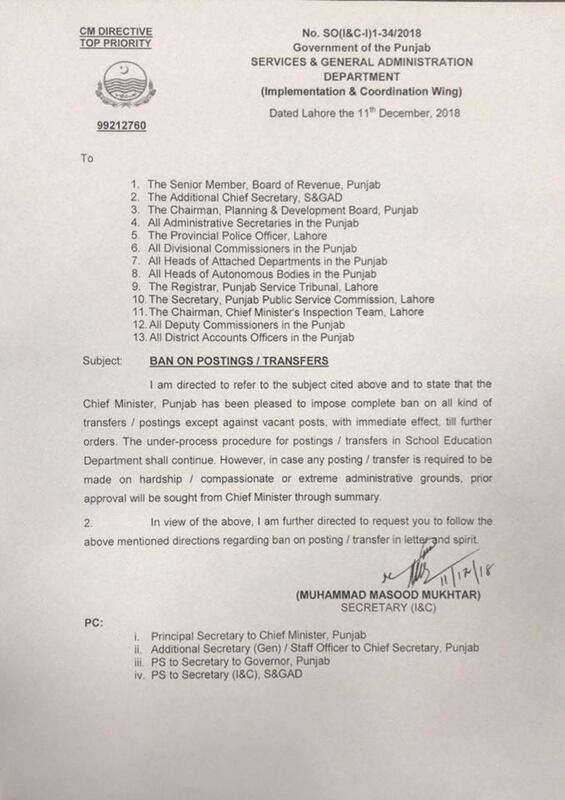 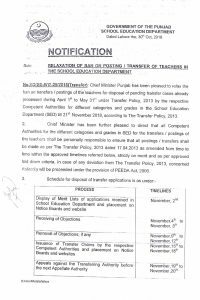 The Chief Minister Punjab was pleased to impose ban on the transfers/postings of the teaching staff with effect from 06.12.2016 which still bolds the field (Annex-A). 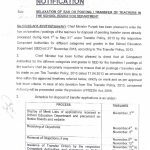 The Department has made recruitment against the posts of different categories of education & AEOs under The Recruitment Policy 2017-18. 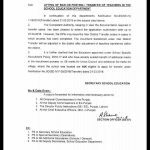 As per time-lines, approved under the policy ibid, the recruitment process has been completed on 28.02.2018 as per solera affirmation made by Secretary School Education during the-stocktake on Education by the Chief Minister on Oct 7th 2017 at 180-H Modal Town, Lahore. 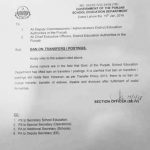 The appointment orders have been issued to the successful candidates and inculcation training has commenced in Quid-e-Azam Academy for Education Development (QAED) on March 1st, 2018. 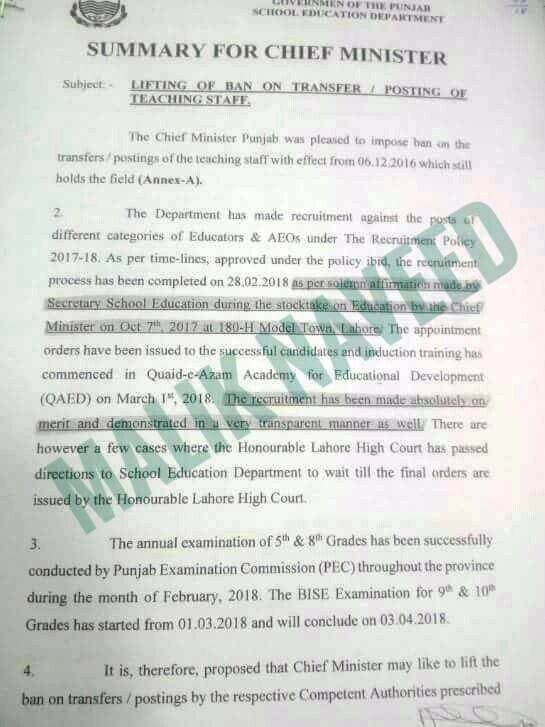 The recruitment has been made absolutely on mint and demonstrated in a very transparent manner as well There are however a few cases where the Honourable Lahore High Court has passed directions to school Education Department to wait till orders are issued by the Honourable Lahore High Court. 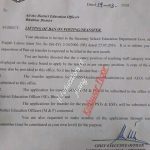 Further details are available at the copy of the letter. 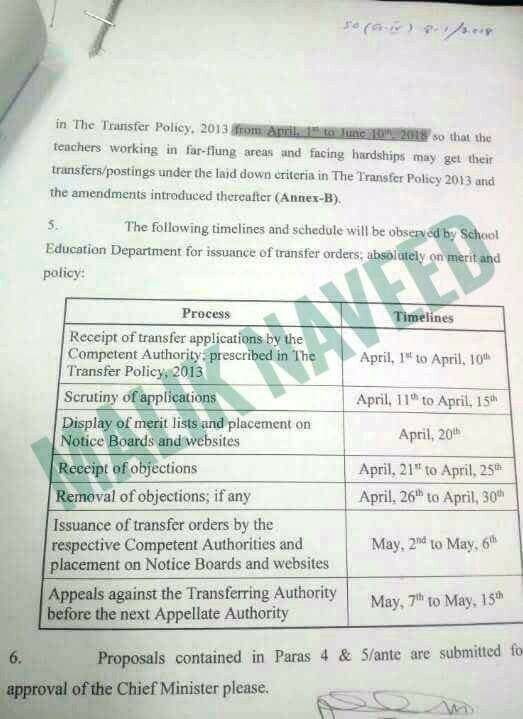 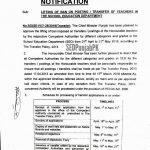 Special thanks to Mr. Kishwar Noor for sending the copy of the Summary for Chief Minister Regarding Lifting Ban Transfer Poster Punjab School Education Department.